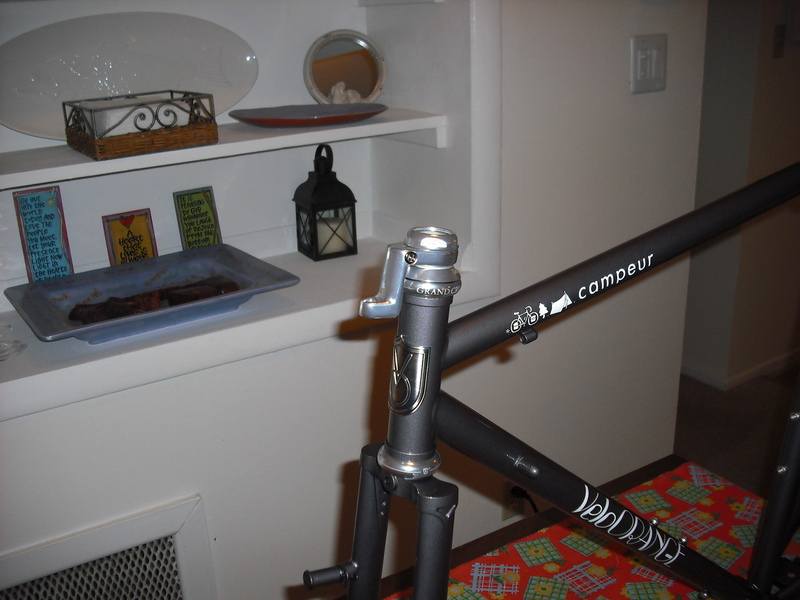 This past week I received my new VO Campeur frame + fork along with some key components. I have looked and studied this frame many times over the past couple of weeks actually holding it was a different story. 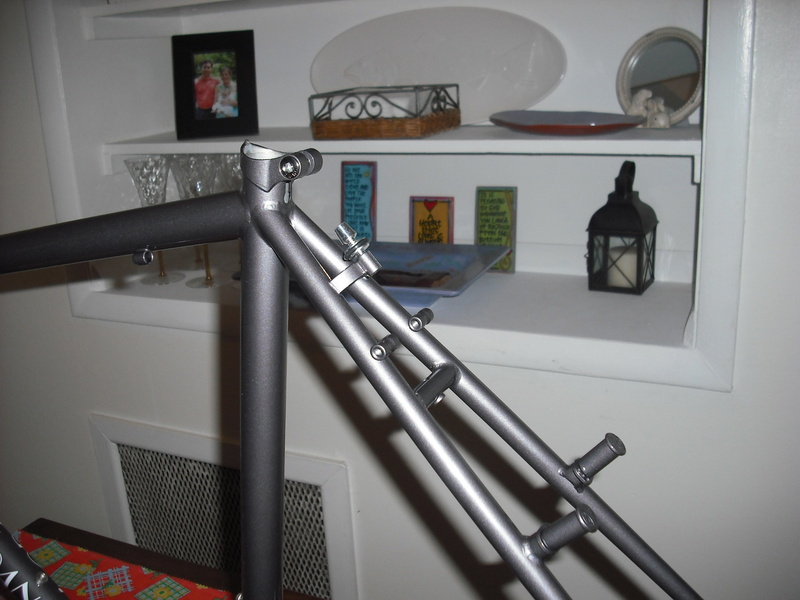 Below is a picture of the frame and other close ups. 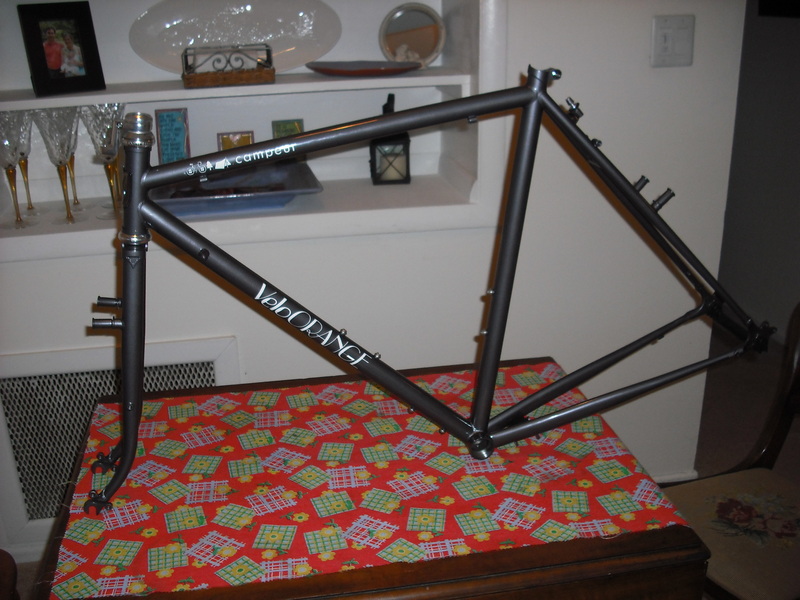 Keeping in mind the whole bike isn’t put together obviously, the frame felt relatively light but solid. I was really pleased with this. Pretty soon I’ll take it to a bike store to put the headset and brake adapter on just so the fork and frame can be forever married. Plus it’s easier to keep up with one thing rather than three. In case your wondering why a bike guy has to take it somewhere to do this, it’s because the tools costs around $50 or more and you only use them once a year, if that. Love the seatpost curve by the way, below.. I look forward to the long road ahead, will keep on posting pictures as the frame is built over time. I have a feeling I will purchase the drive-train components next and then the rest of the pie from VO sometime next year. I’m researching the drive-train options right now. I plan to downgrade from a 52 or 53 teeth large sprocket to a 48 and balancing it out with smaller cogs in the rear. The only time I probably would ever love a 52 teeth would be on long downhills like I do now. Talk soon.